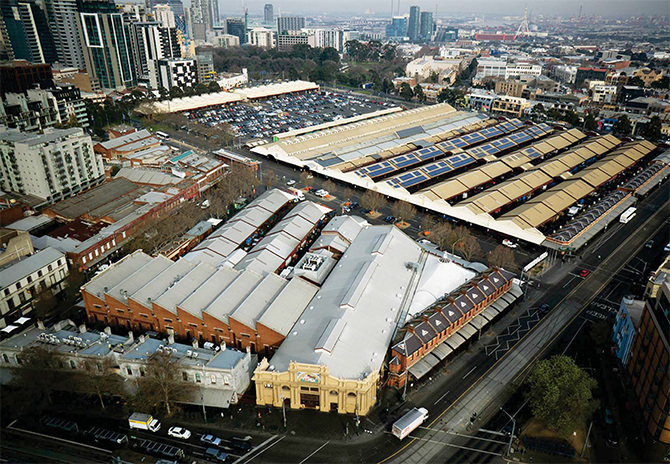 According to an article in the Herald Sun today The National Trust has changed its view on the Queen Victoria Market Renewal proposal. Having expressed concerns about heritage issues and the Munro site development, the Trust now says it is satisfied the the renewal process is necessary to ensure the long term security of the market. The Council’s decision to reduce the scale of excavation and the market’s business and retail plans were apparently instrumental in the Trust’s change of heart. The Trust said it expects the open character of the market sheds to be retained. A time of extreme change in retailing means that some trends will develop and some won’t. The difficulty in this retail revolution is finding out what will stick for future generations and what will not be part of that future. 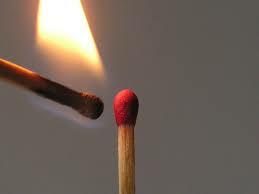 But one thing is definately going to be a key component and of course I am talking about online engagement. Now before you say “Yeah, Yeah – I’ve heard all that before”, let me explain why I think that things have recently changed. 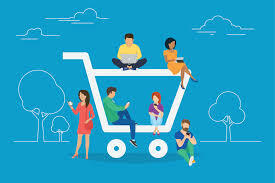 I know there are still retailers who say the big boys are spending far too much money on this omnichannel marketing (provide the customer with a seamless shopping experience whether the customer is shopping online from a desktop or mobile device, by telephone or in a bricks and mortar store.) And the doubters point out that online retail sales still only represent 10% of total retail sales. But we can’t tell that to the Amazon’s, Walmarts, and Macy’s of this world. Amazon are continuing their immense rollout of online retailing and of course are coming to Australia. Walmart are investing heavily in direct to consumer sales, particularly in food, and have just reported a 60% increase in online sales. How far are these big players reacting to consumers and how far are they setting the ground rules for future retail activity? Henry Ford and Steve Jobs famously ignored what their customers asked for and gave them something better. The big boys of retailing are quite possibly doing the same. And for those QVM Market Traders who have not yet stepped online, maybe the email sent to every trader by the QVM Marketing Department this week about how to establish a Google Business Listing, is a good first step. Check your inbox. It is worth a read and may be "arguably one of the most important steps for traders over the past decade." And just to prove that point Sneakerboy has introduced a new section in its store dedicated to customers selling their sneakers to each other. Sneakers have a huge cult following with a significant secondary market in pre-owned footwear, particularly high end brands with sales being conducted through eBay and social media sites. 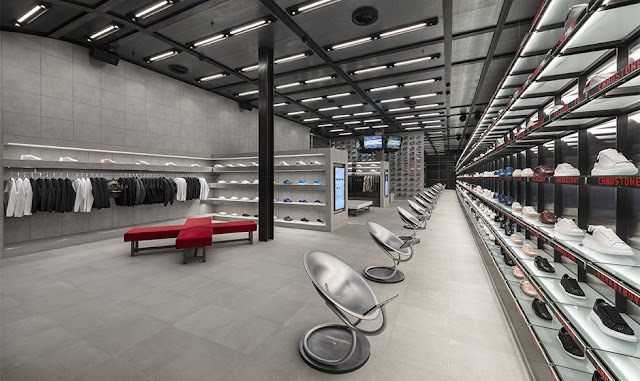 Sneakerboy say they would rather that selling activity happened in their stores than online and so they will moderate a special instore location just for customer to customer sales. Tuesday night’s City of Melbourne Council Meeting considered a number of issues relating to QVM and essentially endorsed the new proposal for underground facilities at the top end of the market and the establishment of a Trader Support Program. 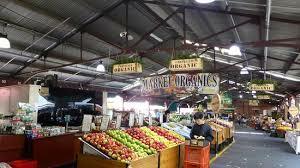 The meeting considered a Statement of Expectations which sets the ground rules for what CoM expects from its subsidiary company, Queen Victoria Market Pty.Ltd. Two changes were made to wording in the original agenda items with the word “expand” being added to a statement about the Market’s role – “Recognise, protect and expand the Market’s original and primary role as a fresh food market”. In this very competitive retail world we market traders have a distinct advantage. Direct personal engagement with our customers is our difference. We may dabble in online and mobile service as part of what we offer but for customers seeking direct personal contact with knowledgeable retailers, QVM is the place to come. This photo is yet another example of a trader engaging with their customer(s) and ensuring a rich shopping experience. 28/08/2017 19:07:37 market experience "Agree, a smilie face, and a will to help is all that is needed. Look at Bruce's face, says it all." The renewal “we had to have” has finally arrived and it is going to make things easier and harder at the same time. We have all spent a lot of time over recent years considering aspects of a QVM Renewal. Endless meetings, intense discussions, pressure groups, media interviews, political arguments, and more, have all been part of daily life at QVM. Now that we have detail and a starting date of October for construction of the temporary pavilion, we can get on with the job and for many that will be a relief. The sooner we get the disruption of construction “done and dusted” (oops, did I mention dust) the sooner we can bring our market up to what it needs to be for modern customer engagement. So getting some direction at last will make our lives easier, but there are a few harsh realities that are now on our doorstep. Each renewal has its own characteristics and we know that on-going business activity has been a key focus for QVM. The “bloody big hole” under the sheds will certainly test that. There are things that can be done to minimise the impact of construction and to attract customers. The temporary pavilion is not just an alternative location for traders, it is a contemporary example of innovative architecture that will become an attraction in its own right and showcase traders in a whole new way. We are breaking new ground with this renewal. Maintaining flexibility will be important and there are some good signs. The last minute change in the A,B,C, and D Shed underground to a much smaller footprint will allow more normalised trading around Queen St. That is very reassuring for many. That change suggests that even large, very expensive projects can be adjusted to achieve a better (albeit more expensive) outcome along the way. Of course change brings with it uncertainty and clear communication will become a priority. As an example, the traders on Queen St. still don't know where they will be located when the pavilion construction starts in six weeks. When you are playing with Trader livelihoods, these processes need to be open, transparent, “squeaky clean”, and speedy. This might be the renewal we had to have, and most traders are aware of the long term benefits from improving our market, but the potential for pain in between is very real. If QVM can keep their end of the bargain and minimise disruption and uncertainty, and traders can focus on adapting to change we will have the best chance of an easy transition and a better market for everyone. One of the initiatives being put to City of Melbourne on Tuesday 29th August concerns business continuity for traders during renewal and how traders might be assisted as they tackle a period of construction and change. Some traders are asking if the proposal being put to Council needs clarification before it becomes useful. The proposal refers to a Trader Support Fund and a complementary Trader Assistance Program. That combination will include financial compensation and other assistance including what has been referred to as advice from various sources including “Business Partners”. The Trader Support Fund Advisory Committee is the governing body through which individual trader requests for financial assistance from the Fund would be made and assessed. At Thursdays Trader Meeting, Joanne Wandel was keen to point out that this involves public money and there would be strict accountability. The Council has further stated that there is no legal obligation for them to provide compensation. There are many questions surrounding the application of the fund. The fund is capped so does that mean that some deserving traders might miss out? Are we trying to protect the smaller fragile traders or those with larger business operations at QVM? How will compensation be calculated? Will it be applied to rent? For some traders rent has a significant impact on profit, for others it is less significant. Any assistance package is a very welcome ingredient for traders, but maybe we need to know more about how this might work and how the unique fragility of small market businesses will be addressed. Customer, Bernie, says he has a great idea for our proposed parkland on the site of the current car park. He believes we should have a mini zoo with kangaroos and koalas. It would be a great tourist attraction and remind all city dwellers, including traders, of our affinity with native animals. Rain On The Night Market – our night markets are usually blessed with fair weather so heavy rain at 5pm on Wednesday came as a bit of a shock for traders. Apparently the crowd was down from the usual 30,000 to 18,000. 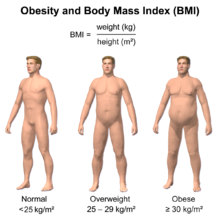 A Better Way To Determine Trader Compensation – instead of complex financials one trader has suggested BMI should be used. Body Mass Index figures before and after the commencement of renewal would indicate which traders have not been able to pay for essentials like food and are in most need of financial assistance. Trouble is that bananas might be offered as compensation. Keep Digging – trader, Andy, is proposing that the digging under the sheds should go deep enough to link up with Metro Rail and give QVM its own railway station. As he says, that would solve half our parking problem. Andrew Cyples Last Day – Friday was Andrew’s last day as he embarks on another stage of his career. You might see him down around the Exhibition Centre. Thanks for all the good work Andrew, particularly your tourism expertise. Trestle Table Transformation – a few weeks back we wrote about a new trader in C Shed who had a minimal display using an old market timber trestle table, no cloth, and very little merchandising. Well, on Saturday he had transformed his display to include a black cloth that showed off his salt lamps beautifully, some discreet price marking, and a very professional display poster explaining the qualities of his product range. He said he actually liked using the natural timber table but agreed his display now looks more professional and serves him better. One trader lamented the lack of interstate AFL teams in Melbourne this weekend and is looking forward to interstate teams participating in the finals. Car Parking – Thursday’s trader information session in the Queen St. Engagement Hub was well attended and very informative although one sticking point appeared to be provision for car parking. A trader questioning how cars could be excluded from under the sheds (as planned under the renewal) when only the original 720 customer car spots were currently planned with 200 under A,B,C, and D Sheds, and 520 under Munro’s. Joanne Wandel said they were hoping to create an extra 38 spaces in the market underground and more spaces could be available with the developments at the southern end of the market. We understand that QVM originally nominated that 1300 spaces were needed for customers and traders. A Trader Commenting On Trader Success At The Night Market – pointed out that every trader at the night market (30 food and 50 Specialty Merchandise) probably gets customer exposure at a rate of 375 customers per trader. The day market traders get around 50 customers per trader. Maybe that is the kpi we need to work on for the day market. 28/08/2017 16:17:47 Car Parking Spaces "With 700 hundred stall holders and allowing for 20 Management staff we will all have one car space each. Whats the problem???" 1. David Jones continues rollout of its new food concept. 2. Homewares retailer, House, considers UK expansion. 3. Coles says current competitive pressures are unprecedented. 4. Walmart’s online sales up 60%. 5. Kogan smashes results forecasts. 6. Michael Hill reports strong earnings despite US difficulties. 7. H&M owned, Cos, opens its third Melbourne store. 8. Cash Converters increases profit despite lower sales revenue. 9. Coca Cola earnings fall. 10. Woolworth’s supermarket sales up - $1.5m profit. 11. Myer replaces Topshop occupied floor space with Forever New. 12. “Dated and tired” Big W chain continues to drain on Woolworths. 13. T.K.Maxx’s performance hit by high Aussie Dollar. 14. Jewellery chain, Lovisa, buoyed by international expansion. 15. Walmart and Google join forces on voice assisted shopping. 16. 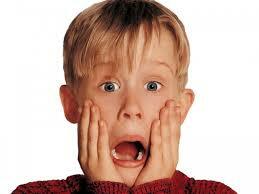 David Jones sales fall. 18. Typo continues UK expansion. 19. Beacon Lighting expects record year following Masters exit. ... that now in Melbourne with many major, necessary projects underway including Melbourne Metro and the Queen Victoria Market Renewal Project.”. SV Partners are a major liquidation firm, recently asked to look after the interests of Australian luxury handbag chains Victoria Station and Kate Hill, have warned that almost 1600 Australian retail businesses are at risk of imminent collapse, including 21 major retailers with $50m+ turnovers and one with $1b turnover. - High rents in capital cities. - Increased competition from online. - Amazon’s entry into the Australian market. - Household expenses including power. SV Partners draw their data from a variety of commercially sourced records which indicate those businesses showing vulnerability to loan and debt repayments, cash flow problems, and other adverse financial conditions. The details presented at Thursday’s Trader meeting about the new QVM underground proposal and the Trader Support Fund are to be put to a City of Melbourne Council Meeting on Tuesday 29th August for consideration. 6.8Queen Victoria Market Precinct Renewal (QVMPR) Program - Continuing BusinessFramework. - Gives Details of the Trader Support Fund and Trader Support Program. The first video in the QVM Champions Of Aussie Made campaign was launched on Facebook on Thursday and it is a standout endorsement of a much under-valued aspect of the QVM offer. 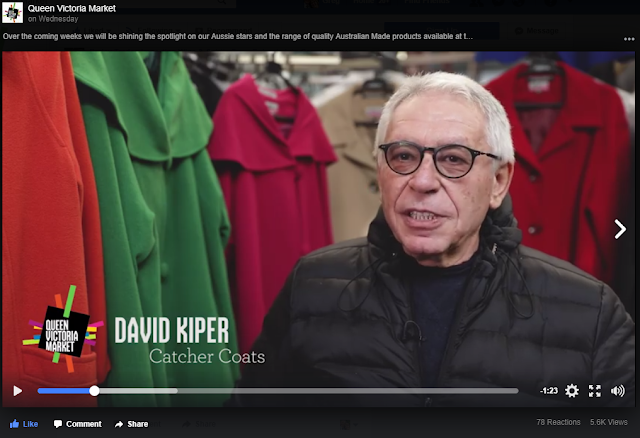 We have a significant number of Australian products in our market and the video of David Kiper’s Catcher Coats range draws a wonderful link between modern clothing styles and old fashioned Australian craftsmanship. David has a no-nonsense approach to his business and to retailing generally. Click on the photo above to be taken to the video. Hopefully David will get a good response to this exposure, but more importantly, the market generally will gain a boost. Other coat traders, the fashion category generally, and every trader who can benefit from new consumer interest at QVM should welcome this type of promotion. One trader who shared the video amongst their facebook friends and family got a big reaction. You might like to do the same. Everybody will love it, especially Beryl from Beaumaris (you have to watch the video). QVM In The News - Renewal Plans. A standing room only meeting at the Engagement hub this afternoon was the opportunity for QVM traders to hear and see the new plan for underground and temporary pavilion construction commencing in October. A large number of issues were discussed and will be further examined over coming months with plans and documentation to come. In the meantime the city has released a summary of the latest proposal which will go to City Council next Tuesday for ratification. The City of Melbourne has revealed an innovative package to provide dedicated business and financial support for traders at Queen Victoria Market when market renewal works begin later this year. Acting Lord Mayor Arron Wood said Council will consider a commitment of at least $8 million to establish a support program and fund to help traders operate, develop and innovate their businesses throughout the five-year renewal program. We will also propose to establish a team of business partners who will be available for traders who would like assistance during the renewal program. This support includes one-on-one business mentoring with traders on business development opportunities and customer retention. 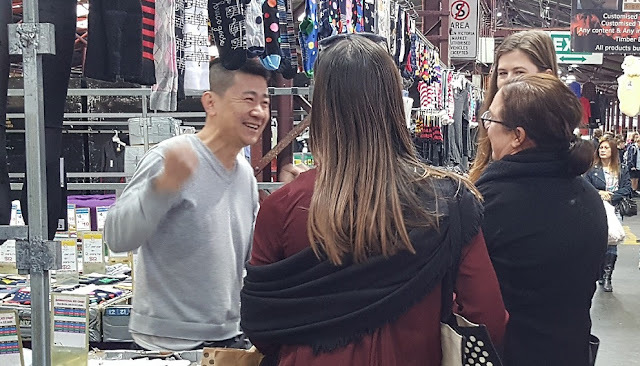 “Queen Victoria Market is home to some 700 small businesses who are at the heart of the market and an integral part of its future,” Acting Lord Mayor Arron Wood said. “That is why we are working with traders and market management every step of the way to ensure their businesses can thrive into the future. 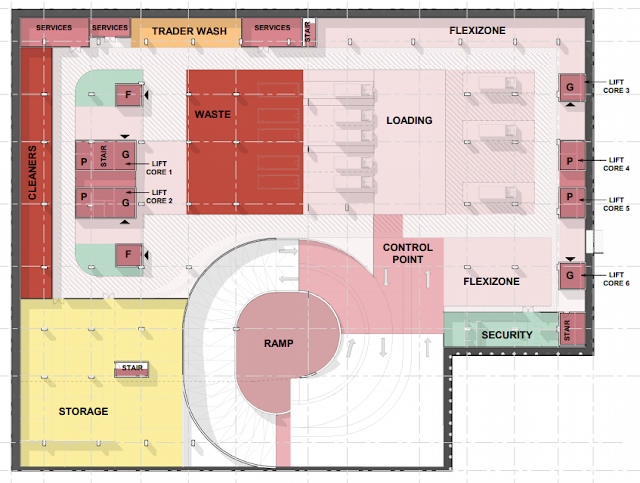 At its meeting next Tuesday, Council will consider a revised design for a reduced footprint for the below ground operational area under A to D sheds after listening to trader and customer feedback. Level 3: 220 customer car parking spaces with lift access taking customers direct to heart of the upper fresh food market, which traders had asked Council to consider. An additional 500 customer car parks to be located at the Munro site. “Our proposed plan is for a smaller but deeper footprint for the below ground facilities at the western end of A to D Shed,” the Acting Lord Mayor said. “This will allow the Queen Street end of the heritage sheds to remain in place for ongoing trading and reduced disruption. These and all the remaining sheds will be restored on site. The Acting Lord Mayor said the new approach delivers the back-of-house facilities traders have requested while limiting shed removal and minimising disruption to market trade during renewal. The new market pavilion will ensure the market can continue to trade throughout renewal works by providing a temporary home for traders in Queen Street. Construction is expected to get underway in October 2017. The Acting Lord Mayor said that the City of Melbourne recognises that with change comes uncertainty. The trader support fund can be accessed by traders who meet certain eligibility criteria and can demonstrate that their businesses have been impacted by renewal. “Council previously pledged that any business that can demonstrate its income has been impacted by renewal works would receive financial assistance,” the Acting Lord Mayor said. “However, we are confident that access to this fund will be modest as we strive to limit disruption and work closely with traders to understand their business needs. “At its core, Queen Vic will remain a fresh produce, open air market and will retain its unique atmosphere, heritage and affordability. How often do you notice customers walking into your stall with a mobile phone in their hand? 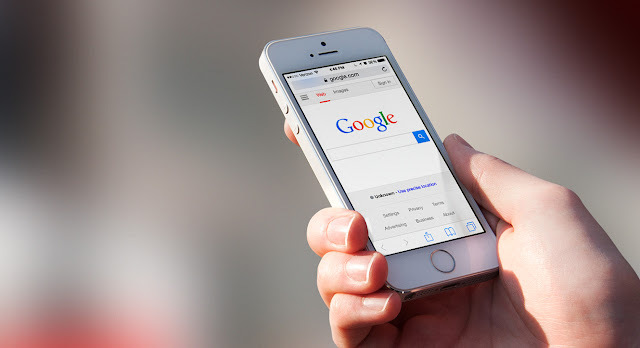 Many of them will use those mobiles to search for businesses or goods and you can be part of that search with a Google web presence - when customers search, your business shows up. Setting up a web presence can be very simple, it is generally free, and Google has some great tools to assist you. QVM is compiling a set-up guide to assist traders but in the meantime Google are actually holding a morning session this Friday at Federation Square to discuss their options. If you can get a break from the market it may be worth attending. Following is the blurb from Google. Google in partnership with the Digital Innovation Festival Victoria would like to invite you to join us for a free breakfast training event, in Melbourne at ZINC Federation Square on the morning of Friday 25th August. The free training will cover the practical steps you can take to help put your business on Google Maps & Search and be found online by new customers. We'll also share insights about how the growth of mobile devices is shaping consumer behaviour and what businesses need to do to respond to these changes. You'll also hear from local business owners who have successfully used the internet to grow their businesses. Attendance is free and breakfast will be provided - now all we need is you. 1. Online Retailer Kogan has reported bumper revenue growth – up 37% on last year. 2. David Jones is to cut its food lines from 14,500 to 8,500 with some 70% to be private label. 3. Home Consortium to open 10 refurbished Masters sites as multi tenant shopping centres. 4. Dominos Pizza misses its profit target. 5. Harbour Town centre in Docklands to get $150m makeover and re-branding with H&M one of the first to sign up. 6. US Retailer quarterly reports not as bad as expected. 7. Country Road opens first menswear pop-up at Sydney Airport. 8. Westfields half-year profit up 20%. 9. Analysts expect Coles to lose ground to Woolworths. 10. Australian shopping centre vacancy rates on the rise. 11. JB HiFi reports 38% online sales growth. 12. Adairs reports double digit sales rise. 13. Lindt opens new chocolate store in Perth. Walmart is taking a leaf out of Amazon’s book and making better use of its huge database of customer buying information. Walmart is now offering a full range of options for advertisers, including display placements, programmatic ads (those placed by an automated exchange), native ads (sponsored product listings that a given brand pays to make more prominent), and physical in-store ads. Cardboard Billionaire Anthony Pratt, son of Queen Victoria Market Customer, Richard Pratt, is revelling in the growth of Amazon and all the cardboard boxes it requires to ship goods to customers. It covers the universities, state library, Queen Victoria Market and the Melbourne Museum. It is also home to a hi-tech lab that is “building body parts”. Watch What You Say – apparently police were called to the market during the week after someone threatened to “shoot someone.” The person venting turned out to be a trader who was unhappy with some aspect of QVM operations but the listener didn’t know that and took the threat seriously. In these troubled global times it pays to watch your language. Invoicing Dilemma – a trader has complained that one side effect of the new digital invoicing system is that we no longer have immediate feedback of account discrepancies. A cashier used to be able to confirm whether your payment agreed with the system immediately, but now we don’t find out until weeks later when memory of the event has faded. New Proposal For Underground – apparently the renewal team is considering a variation to construction under A,B,C, and D sheds that will allow ongoing trading at the Queen St. end of those sheds. The aim is to create a viable retail environment linking with the temporary pavilion and keep disruption to a minimum. Pavilion Opportunity For GM – we understand that as part of the new trading proposal on Queen St. there may be opportunities for General Merchandise Traders in the temporary pavilion. Traders who are interested in pavilion trading will be invited to submit an Expression of Interest. We assume that opportunities will only be available to 5 day traders and we hear that participants may be asked to embrace extended trading. More details at Thursday's Trader Information Session. Where Are The Football Fans? – a number of traders are complaining that with only one interstate team playing in Melbourne this weekend (Brisbane) we are suffering unusually small crowds. 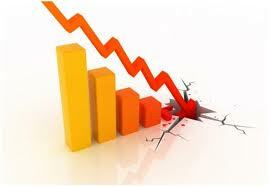 Trader Strike – a trader proposed this week that traders should strike for no change at our market. When questioned, he did agree that change was necessary, but still felt a strike was a good idea. Ex City Councillor Stephen Mayne went to Monday night’s alternative renewal proposal meeting and published some photos which helped resolve a dispute over how many attended. The photos show around 150 attendees including approximately 50 traders. The group made a presentation to City Council the following evening and apparently the Lord Mayor’s response was “Thank you for your passion and work. We are set on a particular track and I wouldn’t want to give you hope that we will deviate from 5 years of very hard work”. Trader Xenia (Sonia) has marked one year since her stroke with a promise to continue her recovery and become more physically active over the next 12 months. A customer (and ex-trader) stated that walking through the Dairy Hall at 1:00pm on Saturday they experienced the smallest crowd they could remember and they wondered whether the Barcelona terrorist attack had an impact. Trader Experiments With Facebook Advertising. Who Needs To Lead Retail Recovery at QVM? Will War On Wages Save Retailers?